Sorry, this job expired on Jul 26, 2018. Below are other jobs that may be of interest to you. 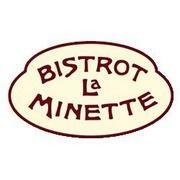 Bistrot La Minette is looking to hire a line cooks. We are looking for an excited, hard working, and highly motivated candidate to step onto the line, ready to put out fantastic French food every day. This candidate will be ready to work in a faced paced environment, be dependable, and be looking to improve their skills every day. This candidate will also be a team player, looking to become part of a kitchen that works together to succeed. Line cooks work from 12:30-close (as early as 10:30, as late as 12), and work 5 days/week. Working on weekends is mandatory. Bistrot La Minette focuses on classic french bistrot cuisine, while using the best local and seasonal ingredients. We are a 100% from scratch kitchen, making everything we serve, down to the baguette we offer daily. We emphasize classic culinary technique, and strive to serve the most authentic and delicious french food in the city. Bistrot is looking for full time cooks, who have at least one year full service, fine dining restaurant experience. We are looking for someone who is dedicated to the level of culinary excellence that we are striving to achieve. If this sounds like the right type of restaurant for you, lets set up and interview and a trail. Tell me a little bit about yourself and why you love to cook. Bistrot La Minette is an Authentic French Bistrot in Philadelphia's Queen's Village neighborhood. We focus on classic French bistrot cuisine, painstakingly created 100% from scratch, down to the bread, the classic French way. We pair our cuisine with top notch service and a curated all French wine list. Bistrot La Minette offers the most authentic French dining experience, transporting guests to the small bistrot in Lyon or Paris that they yearn to visit.